Electro WOW ► Electronic Music News: Nic Neufeld Canada's Biggest Child Star Making His Mark on Hollywood! 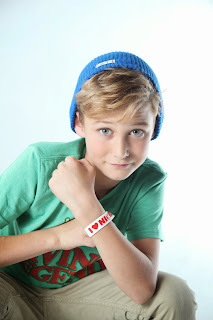 Nic Neufeld Canada's Biggest Child Star Making His Mark on Hollywood! Eleven year old Nic Neufeld lives in the very small town of Dodsland, Saskatchewan. By small town, I mean a population of 200 people. But there is nothing small about the talent or the drive that Nic Neufeld demonstrates to succeed as a performing vocal artist. Nic has been singing since he was able to talk, often performing for family and friends. When younger, Nic would walk around with his microphone and toy guitars. Even as a baby music was a comfort to Nic. If he was crying, his parents would turn on music and he would immediately stop. At 3 years old he would walk around the house singing his favorite Wiggles, or Backyardigans songs. When YTV began playing Justin Bieber videos, Nic became and instant fan. Nic’s parents enrolled him in piano lessons but soon found that he just wanted to play, not really enjoying the structure of lessons. While they encourage him to continue, Nic only wanted to play by ear. At 6 years old he stopped taking lessons, but continued to sing and just have fun on the piano. In December of 2010 Nic was given the opportunity to sing a short solo in the school Christmas Pageant. The response Nic received was amazing! Leaving the audience with tears in their eyes, Nic had found his “Gift”. Check out his Youtube channel here and subscribe! Brand New House Music Documentary "House Class"